Inspired by our island home, we’ve created a family dining experience that reflects the vibrant spirit and flavors of lush Kauai. Enjoy our thoughtful menu inspired by Hawaii’s farmers, fisherman and ranchers, featuring locally sourced ingredients crafted and served with the true spirit of aloha. 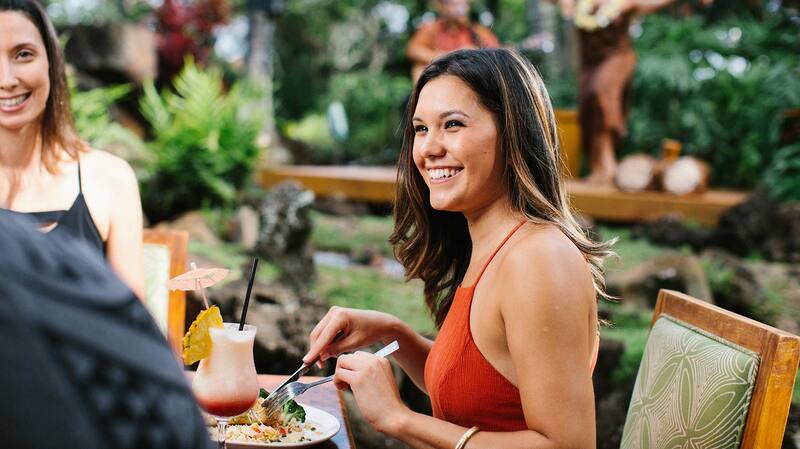 Locals and visitors alike love our refreshing atmosphere, bringing you right into the spirit of our lush island with open-air dining, tropical surroundings and live Hula almost every night. It’s the place to be on Kauai’s south side.